Don’t let people fool you. PowerPoint, like Prezi, Keynote, and others is—for better and for worse—a tool. It doesn’t matter whether it was developed by a big, bureaucratic software company or whether it has been used poorly by (countless) others, it is, in fact, a tool. It doesn’t matter if it has bad defaults, ugly templates, or promotes conspicuous decoration, it is simply a tool. But. You do not need to let the tool drive how you think about your content or how you deliver your content—you are in control of how to become an audience-oriented speaker rather than a presenter-oriented speaker. Used well, you can deliver high-quality presentations with high-quality, in-depth content to your audience with PowerPoint. The latest iteration of PowerPoint was released in July 2015, but I recently saw a discussion on Twitter pointing out one of its new features, so I thought it worth writing down my list of the 10 things I like the most about PowerPoint 2016. I talk about these in my presentation workshops and certain features elicit some excitement, so not everyone knows about these. Before I get to it, I should admit that there are really 7 things here new to PowerPoint 2016—the other 3 are things I think you should just know. Final thing: This post is not intended as a promotion for PowerPoint, The Noun Project, or any of the other tools and resources I link to here. These are the tools I use in my own workflow; I am not receiving any financial benefits from the companies and services I mention here. Designer can improve your slides by automatically generating design ideas you can choose from. Like some of the default templates, not all of these design ideas are great, but I think many of them are pretty good and will at least give you some ideas. Designer should be turned on by default, but if not, you can enable it by going to the General menu in PowerPoint options. At the bottom of the menu, you will see the PowerPoint Designer section and a check box. If you get annoyed with the constant recommendations, you can always turn it off. With Designer activated, once you drop in more than one object onto a slide (an object can include a text box), Designer will generate a series of slide layouts you can choose from. Selecting one of the options will generate that slide for you. The one thing I don’t like is that Designer will crop your photos and you can’t modify the colors, line widths, or other elements of the final design. If, for example, you want to change the background color to something else, you’ll need to recreate the design on your own. In general, the designs are not especially difficult to recreate. You can also use Designer for Text. As you add text to your slide—in separate text boxes—you can select the Design Ideas button in the Design tab and, just like with photos, you’ll see some alternative layouts. Again, you don’t have total customization control, but the fact that PowerPoint now prompts you to something different with your text is, I think, a big step. Magic Move was the one reason why I would dabble with Keynote. With Magic Move, you could create a zoom-in transition for large images or objects, or just move around the slide. You can now do the same thing with PowerPoint’s Morph transition. 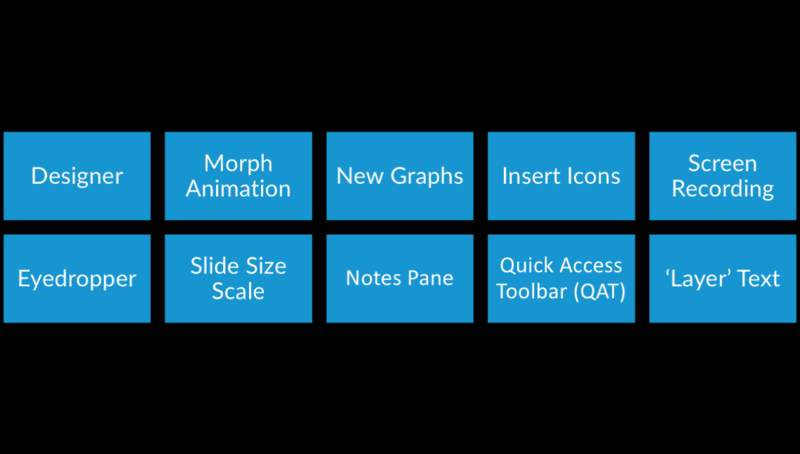 Available in the Transitions tab, Morph generates smooth movement and transitions from one slide to the next. 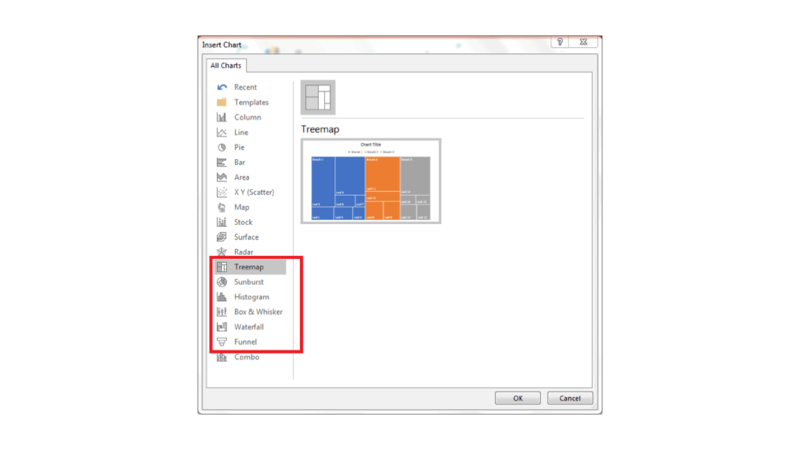 I often use Morph when I’m showing large graphs or images that I want to pan through or zoom in. As an example, to zoom in on an image, place it on a slide and then duplicate that slide, so you have the image on two consecutive slides. Select the second slide and select the Morph button. Resize or move the image on the second slide; if you make the image very big on this second slide, for example, you will get a zoom-in Morph transition. I’m glad Microsoft is adding these chart types to the library (Where’s the dot plot?! Where’s the slope chart?! 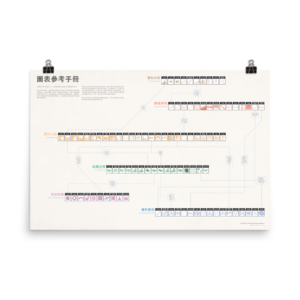 ), but there are some limiting formatting options available here; for example, you can’t change the line color or thickness of the lines connecting parts of the Waterfall chart. As I write in my book, Better Presentations, “As with photographs, icons can be used to make you and your slides more engaging and memorable. Similar to color and font, icons can be used throughout your presentation to help connect and unify different segments of your discussion.” With PowerPoint’s Icons library, you don’t have to download an icon from some other website. The icon library can be found in the Insert tab next to the Shapes menu. Simply click and select. You can also change the color directly in the icons menu and, with multiple icons, Designer will pop up to help you organize them. PowerPoint’s icons library is a bit limited. I actually prefer The Noun Project, which has a PowerPoint add-in you can easily install to PowerPoint. It works basically the same way and is a great way to get icons into your slides. 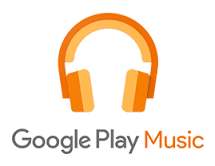 You do need to pay for those icons, but it’s relatively cheap ($40/year at last check). I’m mostly a Mac user these days, so the new Screen Recorder was not that exciting for me because I use QuickTime or SnagIt (also because the Screen Recorder is not available on the Mac). Located in the Insert tab, Screen Recording let’s you do just that—make a video of your screen, either in PowerPoint or not, and with sound or not. For a long time, I used the free Instant Eyedropper tool to obtain colors from images or websites. When I started using my Mac, I was delighted to find the Digital Color Meter as a default tool. There is now an eyedropper tool in PowerPoint, which can make getting colors and creating color palettes much easier. Essentially, if you want to change the color of a shape, line, letter, or whatever, you go to the Fill menu, select More Fill Colors, and type in the RGB color codes into the menu (obviously, you’d have to find the RGB code prior to using the menu). Now, you can simply select the Eyedropper tool, direct the little dropper to a color you like on your screen, and your shape will change to that color (and it will be saved in the Recent Colors area of your color menu). Personally, I find it easier to just drop a screenshot or image into PowerPoint and generate the new color(s) or color palette all within the single tool, but the eyedropper will work outside PowerPoint as well. This is probably becoming less of an issue, but when I was converting my old standard 4:3 slides to the widescreen 16:9 slide layout, I basically had to start from scratch. With the Slide Size Scale tool, however, when you change the dimensions of your slide, PowerPoint will ask how you want to scale the images on your slides. Don’t get me wrong, it doesn’t always work exactly right, and there’s still a lot of work to do to convert slides from one dimension to another (e.g., move text around, etc. ), but this scaling tool means you don’t necessarily have to bring in all new images. Okay, these next three have been available for a while, but I find that people don’t really know about them, so I thought it worth including. You probably know about PowerPoint’s Notes pane—it’s the little area below your slide where you can include additional text, speaker notes, or whatever. But did you know that you can format the text in that Notes pane? I first learned about this from Rick Altman and it changed the way I thought about creating a slide deck that I could also use as a handout. 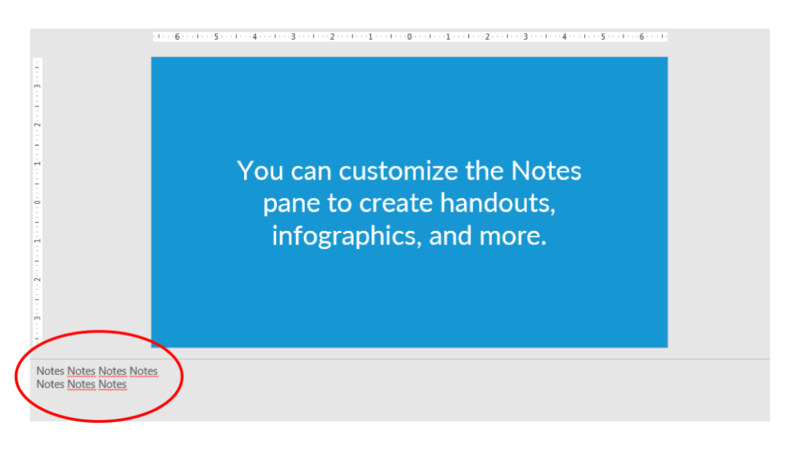 Once you add text in the Notes pane, you can choose to view your slides in the Notes Page view. Here, you can style the text anyway you like, just like in a Word document. 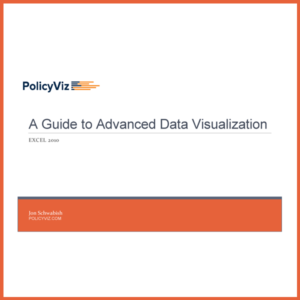 You can also drop in images, graphs, or other content. In this way, you can create a styled handout for your audience and others. If you don’t know about the QAT, you are missing out. 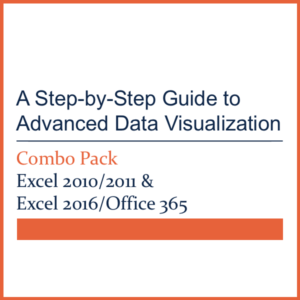 First off, the QAT is available on all Microsoft products, so this is applicable to your work in Excel and Word as well. The QAT is that little menu that sits above the standard ribbon. When you open a Microsoft tool for the first time, you probably have a couple of icons up there like save, undo, redo and print. But you can customize that menu to include whatever commands you like. To adjust the commands available in the QAT, select the little down-arrow at the far-right end of the menu, and select More Commands… In the resulting menu, you can add or remove commands. If you’re not very good and memorizing keyboard shortcuts, these buttons can save you tons of time. For example, if you need to align graphs in the exact middle of multiple slides, instead of selecting the button combination of Arrange – Align – Align Center and then Arrange – Align – Align Middle, you can simply click one button in your QAT and then the other. Trust me, this will save you tons of time. The final tool in PowerPoint is one that’s been there for a while. It’s something I call Layering; others have called it a slow reveal or a dreaded build. As I describe in Better Presentations, “The general philosophy is to present each point—each goal—on its own. 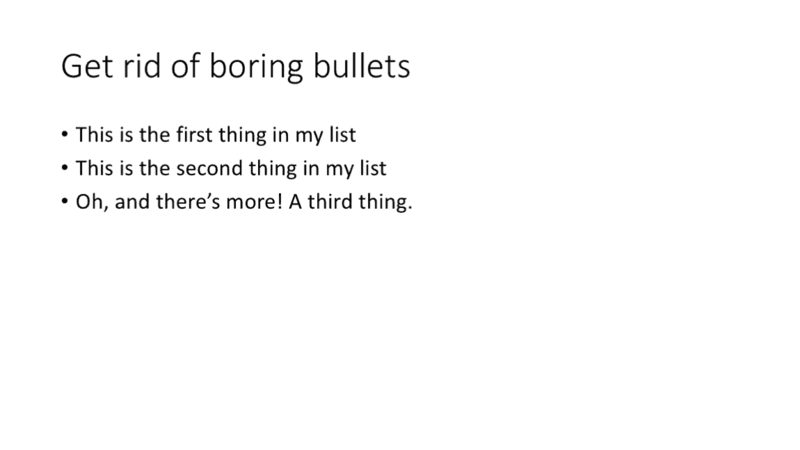 Then together, they come back to the original slide (the one that was forcing your audience to read too much).” In other words, you can still have your three bullet points, but instead of showing all of them on a single slide, you break them up into three separate slides. With PowerPoint’s Animation tab, however, you don’t actually need three separate slides, which can be advantageous if you’re sending the slide deck around and don’t want to have each slide split up. Quick caution: I urge you to rethink whether you need to have all of the text you typically put on your slides. Try to be more visual in your presentations. That being said, if you (or, more likely, your manager) need to have bullet points and text on your slide, this technique will be better for your audience. Here’s how you use the Animations tab to layer your text. After you’ve added your text to your slide, go to the Animations tab and select the Appear option. Pop open the Animation Pane (if it doesn’t open automatically) where you can adjust the settings. In this case, you can change the color of your text in the After animation drop-down menu to, say, change the text color from black to gray after you’re done. You can also change how the animation occurs, whether it be by word, bullet point, or paragraph. There you have it. The 10 things I like about PowerPoint 2016. Remember, PowerPoint doesn’t give bad presentations; people do. Yes, PowerPoint can be used for marketing and sales, which might be more concerned with slogans and branding, but it can also be used to communicate serious content in serious presentations. The more you can prepare to best communicate your content and then apply good design principles to your work, the better off you and your audience will be. 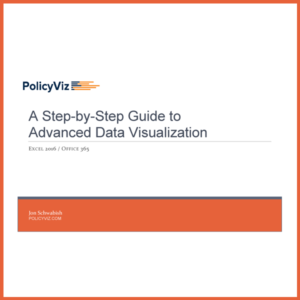 Very Helpful site to learn about Data Visual and presentation tools.